One of the many hotel and casinos in Las Vegas is the MGM Grand in Nevada, USA. 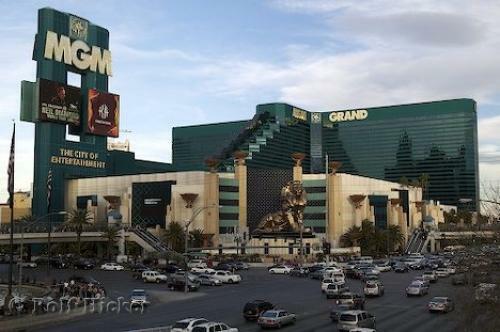 Photo of the fabulous MGM Grand in Las Vegas, Nevada. ... You don't even have to leave the MGM Grand while on your Las Vegas, Nevada vacation as there is more in this hotel than you could ever imagine. Las Vegas is a trip of a lifetime with non-stop excitement and there is no better hotel to base yourself at than the MGM Grand.MGM Grand, Vegas Strip, Las Vegas, Nevada, USA, North America. I photographed this photo with the digital SLR camera model Canon EOS-1DS, aperture of f/5.6, exposure time of 1/100 sec. on ISO 100, as always I used a original Canon Lens, the focus lenght for this picture was 44mm.